"It's a gem, musically and technically ... Boyes has a way of drawing in the listener into her stories. It's very intimate, very personal. Like Billie Holiday and Bessie Smith, Boyes takes you on her journey ... you'll enjoy the ride ... now, to the recording. Equally brilliant and honest ... captures in flawless detail the myriad of colours of all the instruments ... if you want to test your system on micro dynamics, a voice dead centre in all its unaffected glory and subtlety in accompaniment, then this CD is for you. It's not only a technical tour de force, it's one of the most musical albums it has been my pleasure to review this year. Very highly recommended." 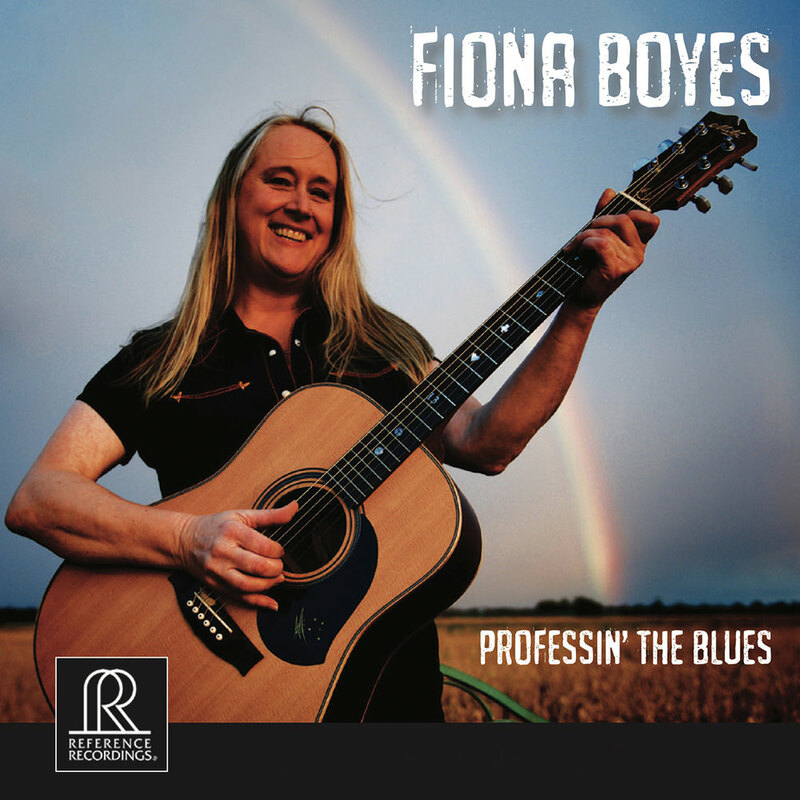 Australian blues guitarist, vocalist and songwriter Fiona Boyes proclaims her passion for the blues as she celebrates the unique contribution of recording and mastering engineer "Professor" Keith O. Johnson, Reference's technical director and a legend among audiophiles. Boyes states that Johnson's amazing approach to capturing sounds, mostly with his own handmade equipment, is nothing short of sonic alchemy. In solo, duo and trio settings, Boyes presents 14 originals and two covers, playing a traditional acoustic guitar, metal body resonators and a unique four-string cigar box guitar. Professin' the Blues was recorded at Skywalker Sound in Marin County, California, live in real time with no overdubs or effects, like all Johnson's sessions.